CASH ONLY! Just reduced!! Total steal!!! OWN FOR LESS THAN RENTING!! (WE CAN PUT YOU IN TOUCH WITH A LENDER TO WALK YOU THROUGH NUMBERS) INCREDIBLE VALUE!!! RECENTLY REHABBED! SHOWS BEAUTIFULLY! 42 MAPLE AND GRANITE KITCHEN W/EATING AREA. SPACIOUS LIVING ROOM WITH SEPARATE DINING AREA. BATHS FEATURE EURO HEIGHT MAPLE/GRNTE VANITIES AND ITALIAN STONE W/A LINEN CLOSET. HARDWOOD FLOORS THROUGHOUT. GROHE FIXTURES. NICE BALCONY FOR GRILLING. IN-UNIT WASHER DRYER. 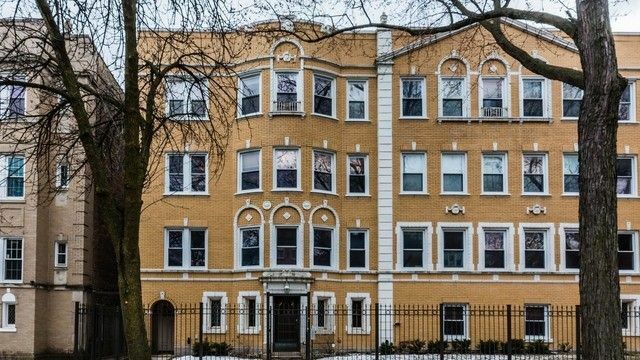 All this walking distance to Metra, red line, restaurants and close proximity to lake and Evanston! Hurry - this will not last! PETS OK!! !